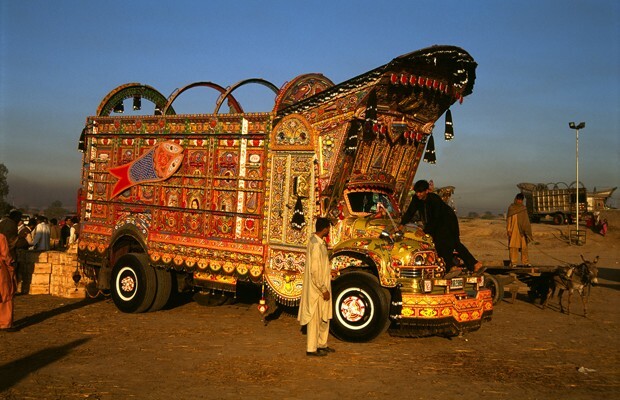 Head along to Depot Artspace for an introduction to the unusual culture of Pakistan Truck Art. It's not your average mode of attracting business, but truck art is something that's definitely worth considering. If you're curious, head along to Depot Artspace for an introduction to the unusual culture of Pakistan Truck Art. As part of the Auckland Festival of Photography, the Depot's latest exhibition, Painting Pakistan Proud, showcases the work of Peter Grant. The exhibition is a realisation of Grant's dream to document these majestic beasts since his first encounter with them in 1995. Grant eloquently captures the beauty of these mobile artworks in his photographs, which are a riot of colour and pattern. Better still, there's a chance to see truck art in action. Karachi artist, Younus Nawaz, will be painting and decorating a vintage New Zealand ambulance which will be travelling around the city for the final leg of the Pakistan Art Truck tour of New Zealand. Check out the latest truck art techniques and a mini-exhibition of truck art photography inside.